The mission of the Knox County Mathematics Department is to provide vision, leadership, and instruction so that all students will develop their mathematical potential to function successfully in a global society. The Knox County Mathematics Department incorporates Tennessee State Standards and math practices that provide clarity and specificity to stress conceptual understanding of key ideas. The sequence of topics was developed through researched-based learning progressions. The knowledge and skills students need to be prepared for mathematics in college, career, and life are woven throughout our mathematics curriculum. Why it Works: Understanding the Math Behind the "Tricks"
Dividing Fractions: Why Invert and Multiply? Grade specific resources are also listed on each grade band and grade level page. Select the "Dual Immersion Cards" Tab to select multiple languages. 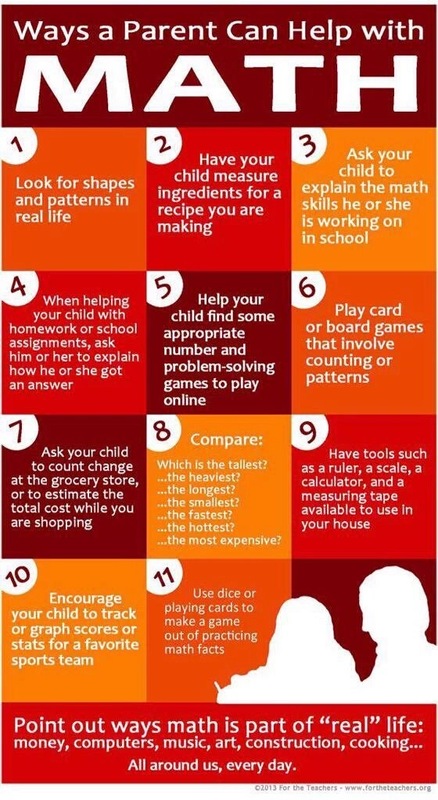 This site includes video explanations of math skills by topic. Many videos are also offered in Spanish. This site allows you to search for a specific standard, watch a short video, and take a quiz. This site offers brief tutorials on a wide range of topics.